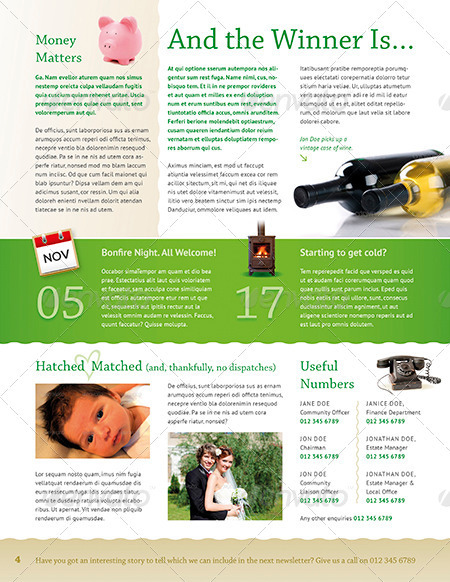 A 4 page newsletter produced in InDesign. Package includes calendar and clock icons and the paper illustration behind the recipe on the inside spread. Illustrations saved back to Illustrator 10 for compatibility. 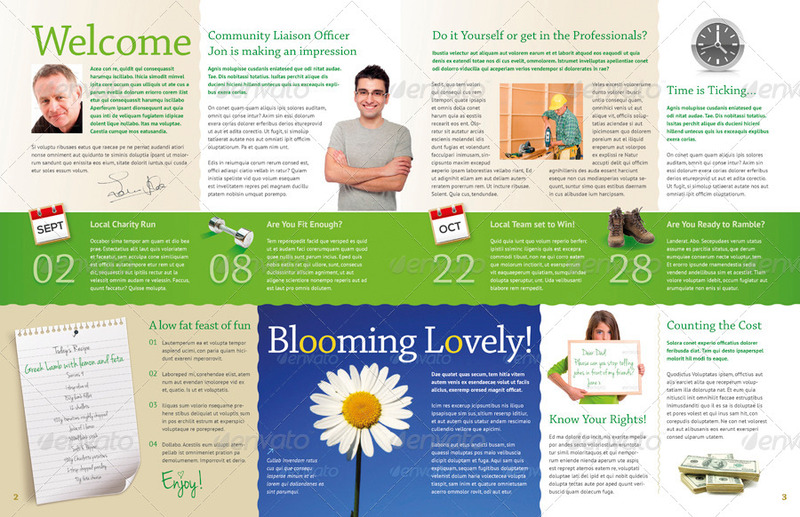 Easy to add more pages or adapt for any business. 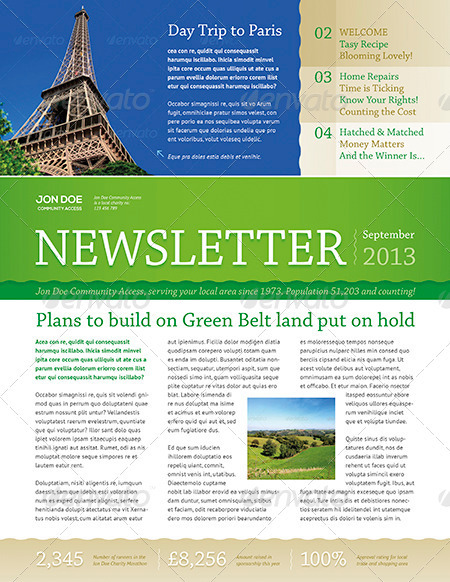 All text and colors are editable and includes paragraph and character styles all named and easy to identify. Artwork has been placed on separate named layers for text, graphics, background colors and image placeholder boxes. The month text in the calendar icons and the recipe have been produced within InDesign so you do not have to leave the software to change it. Please note the large text on the inside spread goes over the fold which is okay if it is just 4 pages. You might want to change this if you add more. Artwork dimensions: 4 page US Letter (8.5×11in), 4 page A4 (210×297mm). Free fonts only used and Chaparrel Pro which is a system font. They are not included in this package but links to all of them are included in the user guide.